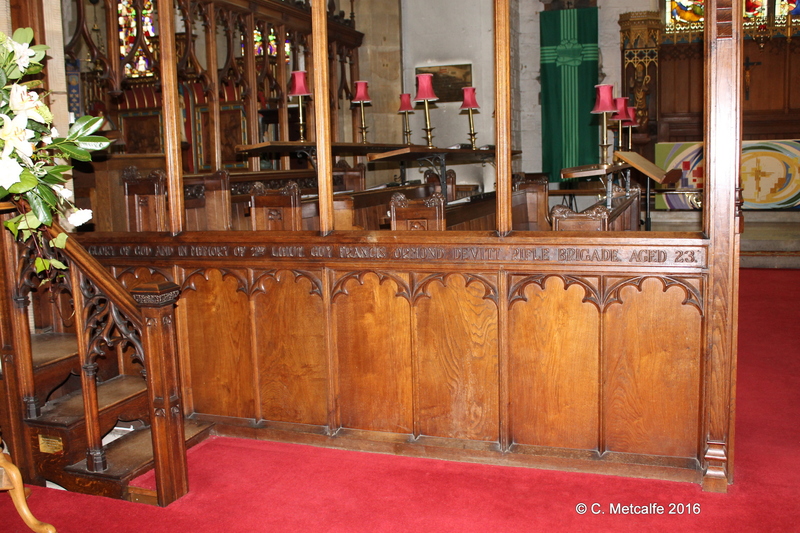 The Chancel Screen in St Swithun’s is dedicated to the memory of 2nd Lieutenant Guy Francis Ormond Devitt, Rifle Brigade, aged 23, who was mortally wounded at Hoog in Flanders whilst leading his platoon, July 30th 1915. 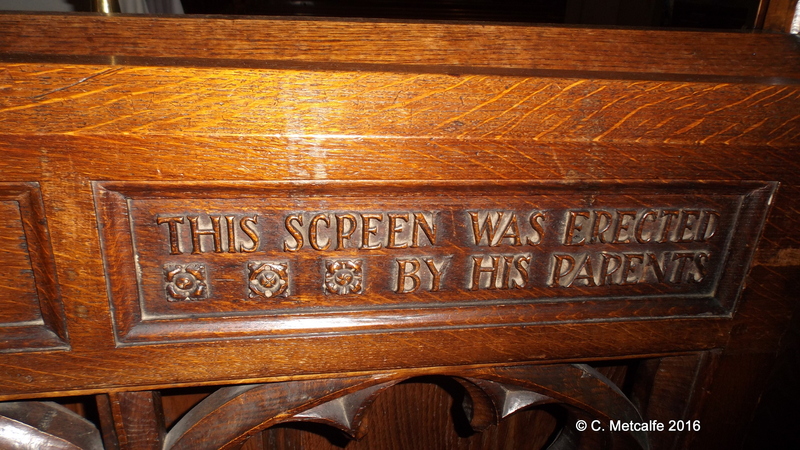 The screen was given by his parents. Mrs Ormond was mentioned in the parish magazines occasionally, helping on committees. The magazines did not mention the death of this young man, though the loss of others was sometimes noted. The Vicar was away for August and the news might have been well-known to the congregation by the time a magazine appeared in September, or, conversely, confirmation of this sad news may have been slow to arrive. 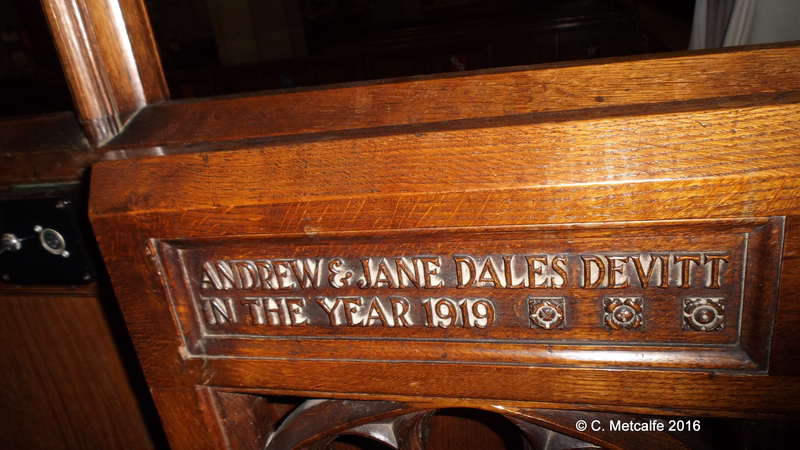 The screen was erected after the war, in December 1919.
men. 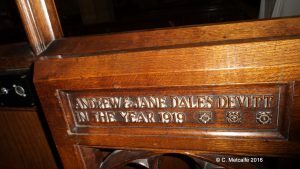 His name is inscribed on the Menin Gate on panels 46-48 and 50. This sentence about the new screen does not refer directly to the reason for the screen, which is in memory of a son killed in the War. A beautiful screen was installed to honour a lost son, and it was to be blessed by the new Bishop. A descendant of the Devitt family once visited St Swithun’s church and kindly shared the information about the the young man’s work, and the comment from his commanding officer. Guy Francis Ormond Devitt perhaps stands for the many others whose names are on the list of the fallen of this parish in the Great War. 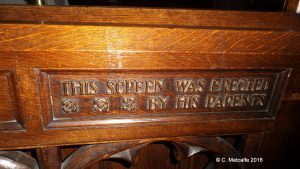 The generosity of his parents in giving the screen is a visible echo of their loss, and the grief and loss known by so many other families in this parish in the Great War.